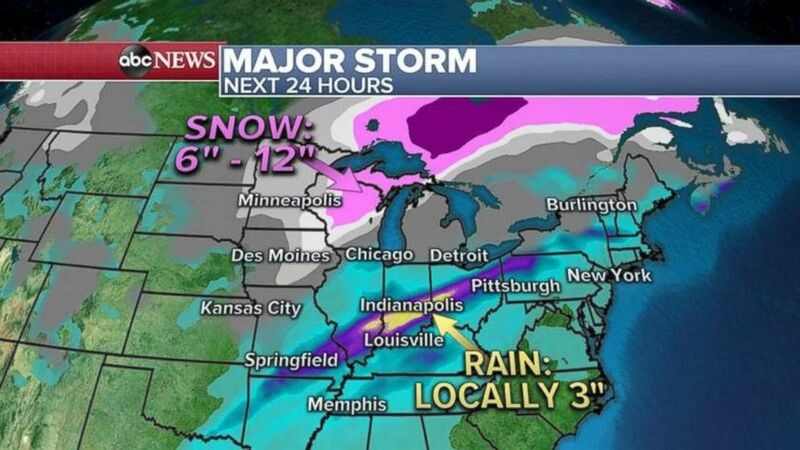 There will be rain, snow and ice moving into the eastern U.S. on Thursday. Salt Lake City and Denver got hit hard Wednesday with this storm -- roads were a mess with lots of spin out and accidents. Denver area got 3 to 6 inches of snow, while Salt Lake City saw 5 to 10 inches of snow. 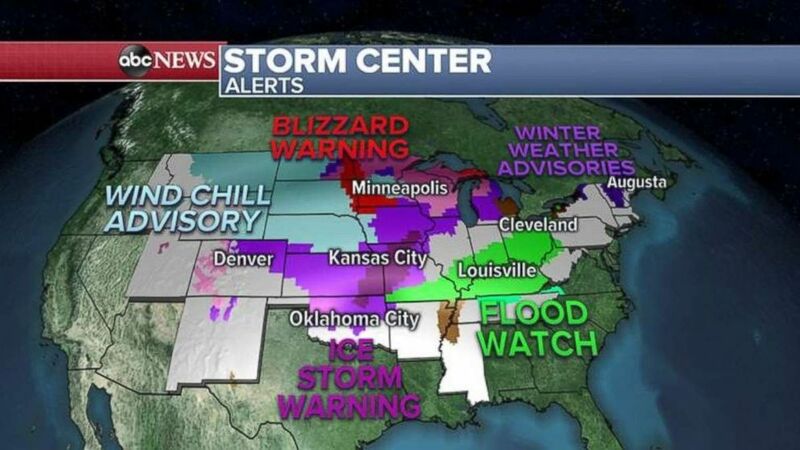 (ABC News) There are alerts in place across much of the U.S. on Thursday for snow, ice or rain. 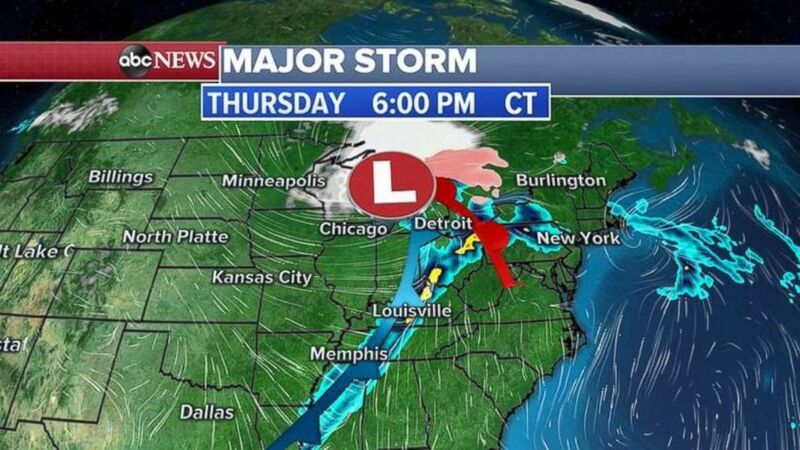 (ABC News) The storm will move into the Ohio Valley and stretch south through Kentucky, Tennessee and Mississippi on Thursday night. 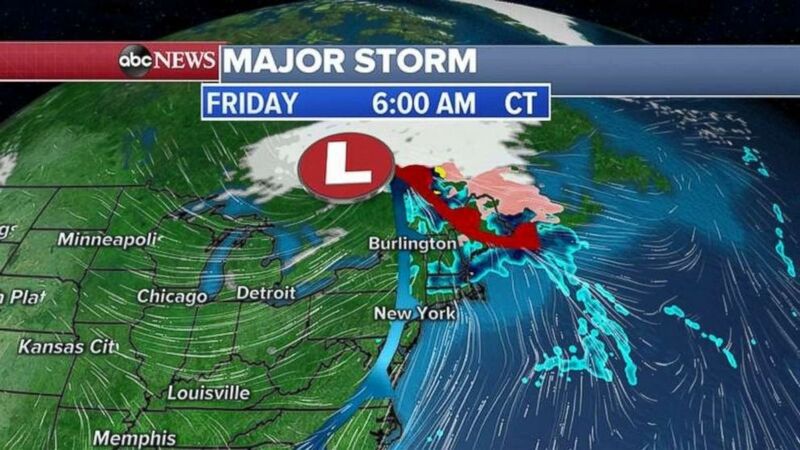 (ABC News) There will be rain and some ice in New England on Friday morning. (ABC News) Rainfall totals will be highest in the Midwest with some snow in northern Wisconsin.